This month sees the publication of yet another interesting (and rather lavish) music tome - a photographic book documenting the 12-year relationship of legendary Gallic musician Serge Gainsbourg with English model and singer Jane Birkin. This collection of intimate family portraits has been put together by Birkin's brother Andrew and offers an interesting and unusual angle on a very public and sometimes controversial union. Jane & Serge. A Family Album by Andrew Birkin & Alison Castle is available now. Next month sees the release of a very special book indeed, Sam Knee's A Scene In Between: Tripping Through the Fashions of UK Indie Music. If anything 'book' seems barely an adequate descriptor, it's a labour of love, a precious document - something like that. Blasted will have an interview with Mr Knee up on the site within the next week, but until then we've got an exclusive (never before seen) photo of the Shop Assistants to whet your appetite. Cheers Sam! 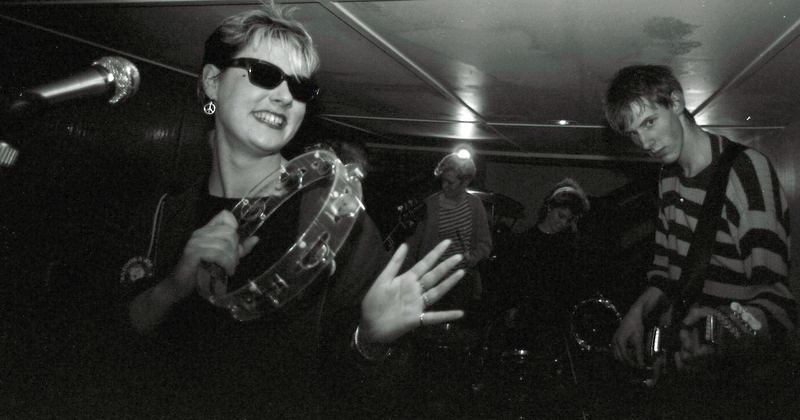 The Shop Assistants, 1985. Photo by Martin Whitehead. Courtesy of Sam Knee.